It's hard to imagine now, but Netflix was fighting for relevance at the start of the 2000s. It burned through more than $50 million in 2000, struggled to hit 300,000 subscribers, and abandoned plans to go public as the dot com bubble burst. Eager for help, it turned to an unlikely source: Blockbuster. Top execs at Netflix (NFLX) approached the leadership at Blockbuster, the dominant force in movie rentals at the time, about taking a roughly 50% stake in their startup. Together they'd expand the nascent DVD subscription service. "They ultimately said, 'Why would we do that? We know more about the business than you do. If it's such a good business, we'll do it ourselves,'" recalls Netflix cofounder Mitch Lowe, who now leads MoviePass. "It only strengthened our resolve to show what idiots they had been." You know how the story turned out. 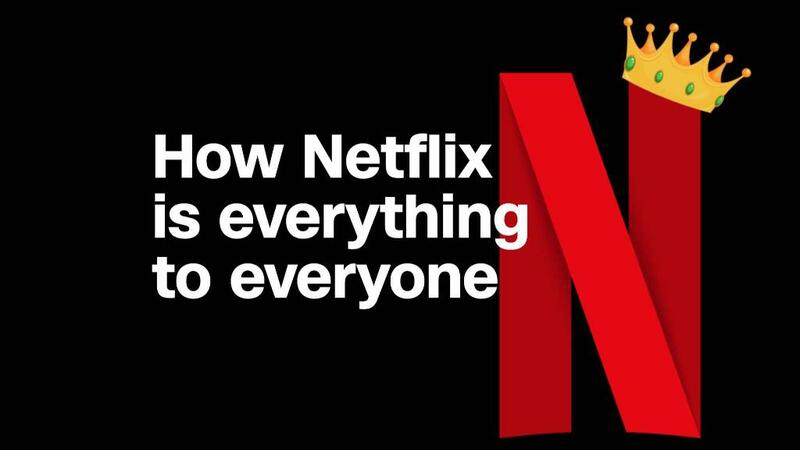 Today, Netflix rules the entertainment landscape with 130 million subscribers in nearly 200 countries, a growing slate of award-winning programming, and a market cap of more than $150 billion. That's on par with Disney. And Blockbuster? It filed for bankruptcy eight years ago and is down to a single remaining store. When Netflix launched in 1997, it bet everything on DVDs even though VHS was the industry standard. The company made an unsuccessful attempt at filmmaking in the mid-2000s, long before it had an audience large enough to make it work financially. Then it invested in streaming when its own focus groups showed consumers knew so little about the concept that they confused "streaming" with "streamlining." People ridiculed Netflix in 2011 for its plans to split streaming and DVDs into two services, with the latter to be called Qwikster. 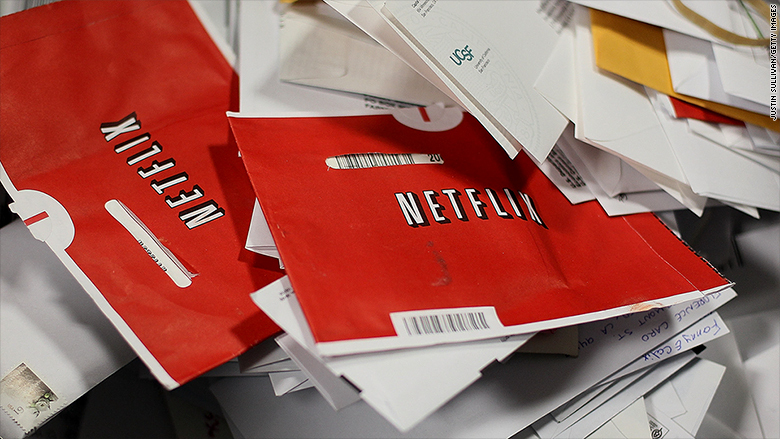 Hundreds of thousands of customers canceled their subscriptions in the months that followed. Yet, each of these efforts proved prescient, if occasionally premature or poorly rolled out. Netflix bolted ahead of the major video rental chains, capitalized on faster internet delivery for streaming videos and spent billions outbidding traditional studios for original movies and TV shows, starting with "House of Cards." It is now taking steps to expand its media empire with a radio channel, comic books and merchandise. "You have to lean so far forward that sometimes you fall on your face," says Todd Yellin, the company's VP of product, who joined Netflix in 2006. "That's really the path to innovation and success." Netflix's ability to stay nimble and reorient itself are a direct reflection of CEO and cofounder Reed Hastings. He bounced from the Marine Corps to the Peace Corps before studying computer science in graduate school. He launched Pure Software in 1991 to help developers debug programs and claims a $40 late fee on a copy of "Apollo 13" inspired him to launch Netflix. Hastings has "strategically re-positioned himself" throughout his career, says Jeffrey Sonnenfeld, who teaches management at Yale. His "genius," Sonnenfeld says, is pushing Netflix to do the same. Many people in media circles find themselves "mystified" by Hastings' calm in making risky and expensive bets, says Todd Klein, a partner at Revolution Growth who focuses on media investments. "It's one thing to walk across a high wire," he says. "It's another to jump to another that's running parallel." But Hastings has landed that jump repeatedly. He pushed Netflix away from an a la carte rental model to a subscription offering because there were "lots of people" already renting videos one by one, Lowe says. He quickly recognized that broadband would foster the rise of streaming. Netflix, he told his team in the 2000s, should "make [streaming] happen before someone else does," said former Netflix marketing executive Barry Enderwick. Today Netflix is spending $8 billion annually on new programming to keep customers binging online. If foresight and focus were key to Netflix's survival, so was the delayed response of its more established rivals. Blockbuster didn't challenge Netflix with an online DVD rental service of its own until 2004. It took another two years before Blockbuster let customers return online rentals in stores, making the service more convenient and a greater threat to Netflix. Enderwick remembers the Netflix team finding a number on Blockbuster envelopes that allowed them to keep tabs on the competitor's subscriber growth. They noticed the service did get "pretty significant traction." BlockBuster quickly topped two million subscribers by the end of 2006, or nearly half of Netflix's subscriber base at the time. But Netflix execs remained convinced the venture was too costly to sustain. Sure enough, Blockbuster raised prices after barely a year and cut its marketing budget for the service. What really kept Netflix execs awake at night, however, was Amazon (AMZN). In 2004, Netflix nixed plans to expand its DVD rental business into the UK amid rumors that Amazon was about to launch a competing service. Instead, Netflix doubled down on its home market, lowered prices and prepared for battle. "Amazon was always really the only company that put fear into Netflix's executive team," Lowe says. And for good reason. Though Amazon never made much of a dent in the DVD rental market, it has pushed hard into the streaming market this decade. Amazon is investing heavily in original content, acquiring critically acclaimed shows like "Transparent" and "Mozart in the Jungle." Amazon pairs these shows with expedited shipping, Whole Foods discounts, streaming music and more as part of a Prime membership service that actually costs slightly less than Netflix annually. Unlike Blockbuster years ago, Amazon has the financial muscle and long-term vision to maintain its Netflix rival for years.